CBD may treat a wide range of medical conditions and can be taken with minimal side effects. Cannabidiol (CBD) is a compound found in marijuana that has significant medical properties but does not get users high. Recently, CBD has become a topic of interest for patients and researchers, who are quickly learning more about its benefits as a medicine. This guide will take a look at how CBD is different from THC and review the scientific evidence behind CBD’s efficacy and safety. Cannabidiol is one of over 100 naturally-occurring chemicals known as phytocannabinoids (“phyto” means plant) that can be found in the cannabis plant. Along with THC, CBD is one of the most plentiful cannabinoids, accounting for up to 40% of phytocannabinoid content. In fact, strains of cannabis are usually identified by their relative composition of THC and CBD. For example, Purple Kush is a high-THC, low-CBD strain. Unlike THC, CBD does not have significant psychoactive effects or produce a “high”, and as a result had been historically overlooked in the cultivation of cannabis. In recent years, CBD has been propelled into the limelight as scientific and medical communities begin to find evidence for its use in treating many conditions. 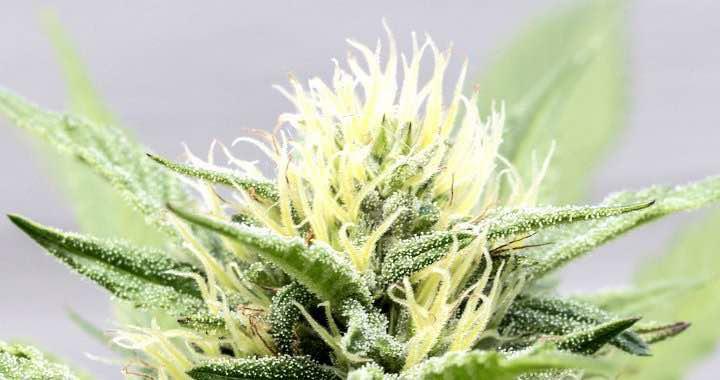 More recent strains of cannabis developed for medical purposes, such as Charlotte’s Web and Avidekel, contain almost exclusively CBD, and very little THC. CBD has a different chemical structure than THC and, as a result, has different biological effects. To understand these differences, one needs to understand the body’s receptor systems. The human body uses a network of receptors and compounds that bind to these receptors to control various organ systems. As it turns out, the body produces its own cannabinoid compounds, called endocannabinoids. These compounds act on an existing system of receptors called the endocannabinoid system. The endocannabinoid system is present throughout the body, including in the brain and nervous system, in the digestive tract, and in immune cells. 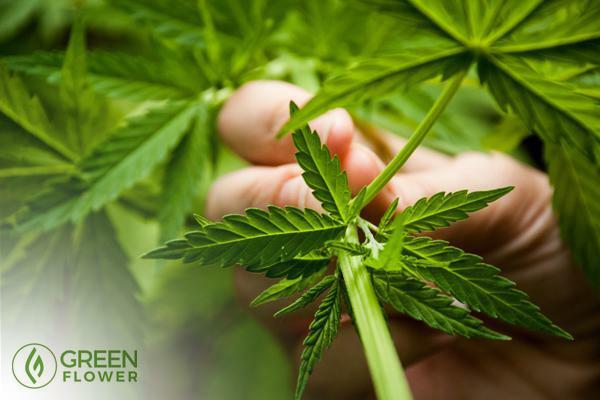 Phytocannabinoids like THC can also interact with the endocannabinoid system — as well as other receptor systems — to produce their various effects. For example, THC activates a type of receptor called CB1 that is concentrated in the nervous system and produces a psychoactive “high” when turned on. THC also binds to a receptor called CB2, which plays a significant role in the body’s immune system. On the other hand, CBD does not directly bind to CB1 or CB2 receptors but can indirectly affect endocannabinoid receptor signalling by interacting with no less than a dozen different types of receptors, including those in the immune system, the pain signaling system, and the musculoskeletal system. In short, CBD’s effects are wide-ranging and different from those of THC. Some of CBD’s effects have proven to be useful in the treatment of medical conditions, discussed in more detail in the next section. Epilepsy – The efficacy of CBD in treating epilepsy is perhaps the best studied use of pure cannabidiol. A pharmaceutical-grade drug called Epidiolex®, comprised of almost pure CBD oil, has been approved for research by the Food and Drug Administration. Epidiolex® has been studied in 214 patients with severe forms of epilepsy that did not respond to other medications. At doses between 25 and 50 mg/kg a day, Epidiolex® was found to lower seizure frequency by 50% in a 12-week clinical trial. In addition to this carefully controlled study using a pharmaceutical-grade product, there are numerous reports of epilepsy patients showing reduction in seizure frequency after taking a CBD oil preparation. Anxiety – In one study, 24 patients with social anxiety disorder were allocated to receive either 600 mg of CBD or placebo. A simulated public speaking test was performed to assess the patients’ signs and symptoms of anxiety. The CBD-treated group did better than the placebo-treated group. On measures of cognitive impairment, discomfort, and alertness, the CBD-treated group did just as well as a healthy cohort who did not have social anxiety disorder. Parkinson’s disease – In one study, 21 patients with Parkinson’s were randomized to receive placebo, CBD at 75 mg/day or CBD at 300 mg/day. Patients rated their quality of life at baseline after receiving treatment. The group taking 300 mg/day of CBD scored significantly higher than the group on placebo for overall quality of life. However, in another study, CBD at doses over 300 mg/day exacerbated Parkinsonism. Schizophrenia – In one study, 29 patients with first-break paranoid schizophrenia were given either 600 mg of CBD or a placebo for 14 days. After the 14 day period, patients switched treatments from CBD to placebo and vice versa. CBD was found to significantly improve psychotic symptoms. Dystonia – In one study, 5 patients with dystonic movements disorders were given 100-600 mg/day of CBD over a 6 week period, along with their usual medications. Dystonia improved in all patients by the end of the study. Graft versus host disease (GVHD) – In a study of 48 patients who underwent bone marrow transplant to treat a type of blood cancer, 300 mg/day of CBD was given orally from 7 days before transplant to 30 days after transplant. Compared to a group of similar patients who did not receive CBD, the CBD-treated group were less likely to develop graft versus host disease, a severe and serious complication of bone marrow transplant. Nicotine addiction – In one study, 24 smokers were randomised to receive an inhaler of CBD or placebo for one week. They were instructed to use the inhaler whenever they felt a craving to smoke. Over the course of one week, those receiving the placebo inhaler did not decrease the number of cigarettes they smoked while those taking the CBD inhaler reduced their number of cigarettes smoked by 40%. THC impairment and withdrawal – One of the most important properties of CBD is its ability to modulate the effects of THC. In one study, patients were first given THC, followed by CBD. CBD was found to reverse some of the known psychoactive effects of THC, including anxiety. The pharmaceutical drug Sativex®, a 1:1 combination of CBD and THC, has also been found to be helpful in treating cannabis withdrawal in at least one other study. While the medical benefit of a compound can only be truly proven in a clinical trial, data from laboratory and animal studies are still useful to guide future clinical studies. To date, there has not been a single known case of death due to cannabis overdose. The science behind this is not yet fully understood, but is thought to be related to the site of action of cannabinoids. Of the phytocannabinoids, CBD has a better safety profile than THC. At doses of up to 1500 mg/day, no significant central nervous system effects, effects on mood or effects on vital signs have been seen with CBD use. Instead, CBD is known to cause gastrointestinal upset, diarrhea, sleepiness, dizziness, and changes in appetite. CBD is metabolized by liver enzymes which metabolize other drugs, and may affect the levels of other drugs in the body. In patients with Parkinsonism, CBD was found to worsen symptoms at doses greater than 300 mg. The long-term effects of CBD have not been well studied. There is emerging evidence that chronic use of cannabis (containing THC) may lead to long-term impairment in cognitive functioning. However, studies have not yet been conducted on CBD use alone, in the absence of THC. It is important to note that while CBD may be quite safe, the ingredients and solvents used in preparations of CBD may pose additional risks. Utilizing cannabis for health and wellness is nothing new or trendy. People have been using this herbal plant in many ways for thousands of years. People have been growing cannabis outside for thousands of years. Before the days of LED lighting and air regulation systems, cannabis was cultivated in the great outdoors. Can Marijuana Help Treat Migraines? People have used marijuana to treat migraines for hundreds of years, and studies show it is still being used for this purpose today. Why should you choose CBD tinctures instead of all the other ways to take CBD?